Liechtenstein by the availability of discrete and flexible legal structures, strict bank secrecy, and favorable tax arrangements, within a stable and well-regulated environment. 2. By its nature, Liechtenstein’s financial sector business creates a particular money laundering risk in response to which the authorities and the financial sector firms have developed risk-based mitigating measures. Minimizing the risk of abuse of corporate vehicles and related financial services products presents an ongoing challenge, as does the identification of the natural persons who are the beneficial owners of the underlying assets or legal persons or arrangements. Therefore, Liechtenstein is vulnerable mainly in the layering phase of money laundering. 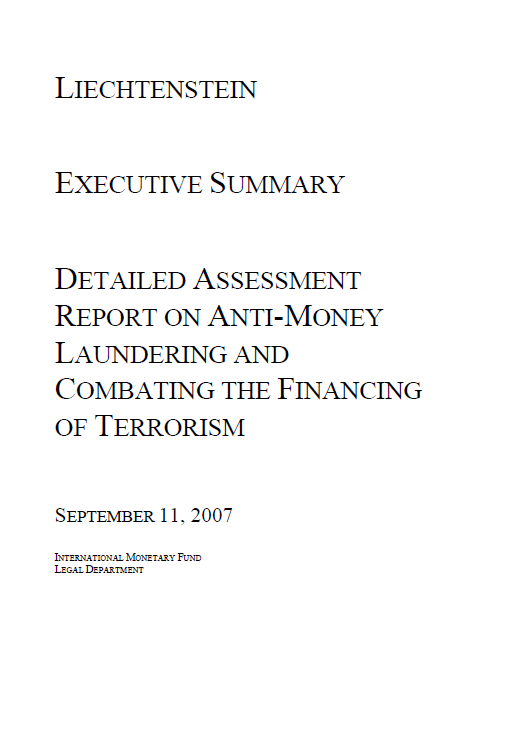 No particular vulnerability to terrorist financing was identified. subsequent major legislative amendments and institutional restructuring. comprehensive enough to enable them to conduct serious investigations in an effective way. offense, though not in Liechtenstein. which process the authorities will have an opportunity to address the identified deficiencies. owners and the conduct of ongoing due diligence. are covered under the substantive scope of application. notably beneficial ownership information, source of funds, and purpose of the relationship. banks. Legal or regulatory requirements do not fully address the misuse of new technologies. several of the Liechtenstein banks continue to expand their activities in other jurisdictions. CDD conducted by their intermediaries.